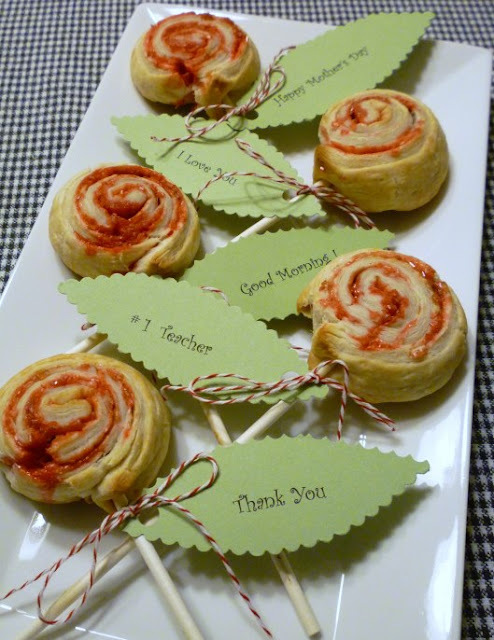 These fun rose pastry pops are a fun treat to make with the kids. You can attach some cute thank you cards in the shape of leafs to give to your favorite teacher for Teacher Appreciation Week or you can write love notes to mom and serve them to her with her Mother's Day breakfast in bed. You can check out how to make rose pastry pops over at Sweet Simple Stuff. Your pastry pops are adorable! I found your blog by following the link from the Mother's Day collection Sweet Sixteen: Mom You Rock! Congrats on being featured! Thanks for sharing!